Chicago real estate professionals universally agree that the commercial real estate markets have been consistently strong through the first half of 2018. However, according to a Mid-Year Chicago CRE Survey conducted by The Real Estate Center at DePaul University (The Real Estate Center), there is far less agreement on the outlook for the second half of the year. 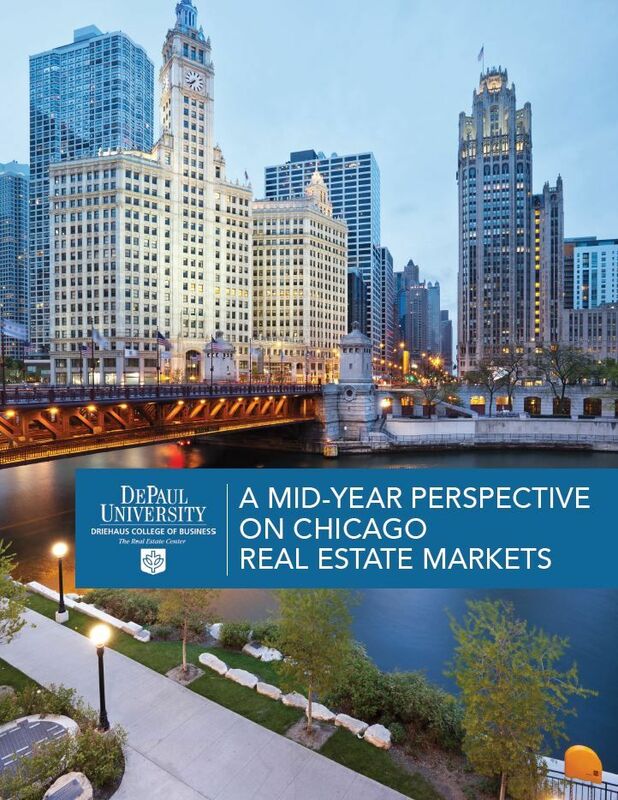 The Real Estate Center Report surveyed more than 3,000 Real Estate Center sustaining sponsors and members of the DePaul Real Estate Alumni Alliance to gauge their perspective on various issues and trends in Chicago real estate. Follow-up interviews were conducted with select members of both groups for more in depth perspectives on the marketplace. By an overwhelming margin, survey participants characterized Chicago’s real estate markets during the first half of 2018 as consistently strong. “Given the sustained bullishness of the Chicago marketplace, it is rational to think that some type of correction is in order,” Brian Rogan, Vice President, Associated Bank, said. He went on to say that while there may be some pricing softness in the next year, he does not expect to see a major, across-the-board correction taking place.